Taco Verdonschot is support & community manager at Yoast. He's leading both our Support team and our Community team. You can regularly find him at WordCamps and meetups. Taco is passionate about WordPress, translating, hanging out with friends and making new ones, support, improving his leadership skills, helping others achieve personal growth, and many other things. Compared to many other IT-related conferences, WordCamps have always been slightly less technical. Not as focused on writing code as many others are. Over the years I've learned this may have something to do with the way our community is built. The WordPress community is not as homogeneous as others. It consists of developers, designers, business owners, end users and many many more different people. 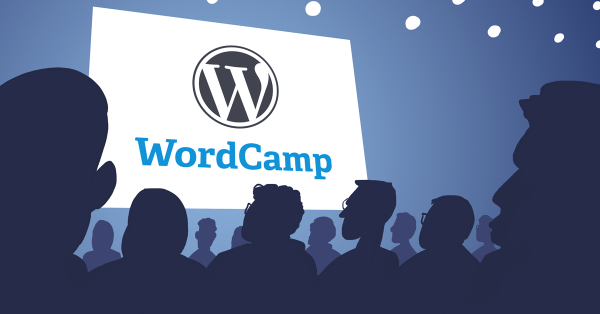 A WordCamp solely focusing on developers would exclude a large part of our community. And that's probably why it never happens. Because of the broad diversity of topics discussed at WordCamps, it can be quite hard for a WordCamp to be original. To come up with new talks, new speakers or even a new focus point can be challenging. So I was very happy to see that WordCamp US lived up to the challenge and put together a schedule with a very broad variety of talks. One of the bigger surprises at WordCamp US was the Kite & Key room, a track focused on lightning talks. With two or three talks per time slot, so on average about 10 minutes per talk, a lot of speakers got a chance to present their pet project. And I have to say there were quite a few interesting lightning talks! Another surprise was the number of 'social talks'. Let me define that a bit better. With 'social talks', I mean talks that are not aimed at development or design. A great example is Hilary Fosdal's talk "How Your Worst Clients Make You Better". One of the lightning talks that deserves an extra bit of attention is Rich Robinkoff's emotional talk "Take Care of Each Other – How to Contribute to WordPress Without Writing Code". His talk is not about code, not about design, but about taking care of people. He asks us to contribute not just to WordPress, but also to the people in the project. Urging all of us to be a bit like #wpmom, to be like Kim every day. Kyle Maurer, Judi Knight, Shayda Torabi and Morgan Estes all talked about giving back to WordPress. They highlighted different ways and different teams, but all promoted spending time on the WordPress project. And with great result, the Contributor Day on Sunday had 334 attendees! 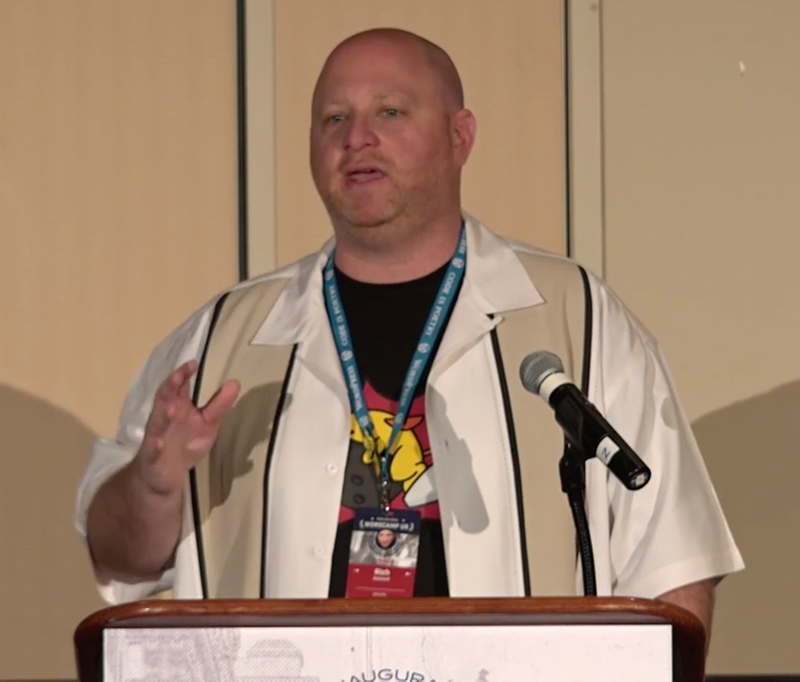 The one talk on giving back that you should really see is Kyle Maurer's talk "Contributing To WordPress Meta", explaining why WordPress Meta is a very important team. But please, keep in mind that you should only watch this talk just before you go for food! One of the more popular topics was handling clients and end-users. Imagine for a moment that you are looking for a wedding cake. Of course, you'd only want the best of the best, so you do your research and find yourself the best bakery in your area. You explain what you would like and agree on the proposed end-result. Instead of letting this experienced baker do his work, you interfere with every step of the way, changing the expected result on a daily basis and try to teach the baker 'new things', things you've learned off of YouTube. Let's be honest, you know this can be very annoying behavior, and you'd never do a thing like this. You know it might eventually have a negative influence on your wedding cake. And I'm sure everyone would agree with that. Strangely enough, when a similar thing happens to a web agency, we accept it and many people even think it's normal. And that's probably why Hilary Fosdal, Joe Casabona, Frederick Meyer and David Kennedy talked about various user-related issues. But there is one talk that deserves special attention, Josepha Haden explained in "Communities and The Gentle Art of Verbal Self-Defense" how one can recognize a verbal attack and how to respond to it better. She explains there are two parts to a verbal attack, one that triggers an emotional response, while the other part is aimed at keeping you under control. I'm not going to explain her whole talk here because you can watch it yourself on WordPress.tv. But, if you really cared about good communication, you would have been in the Kite & Key room when Josepha gave this talk! Feel offended? Perfect! Go watch Josepha's talk now and reply in the comments with your best response!